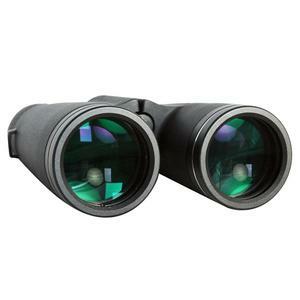 The perfect binoculars for nature watching in high-quality optics. The Omegon HD 10x42mm lives up to any birdwatcher’s or nature enthusiast’s expectations. In high definition and contrast, it displays objects true to nature. With 10x enlargement and a 42 mm lens in a pentagonal construction, it is extremely compact and suitable for almost any observation work. The lens is composed of three lenses, including an integrated ED lens element. This lens system, called APO, offers outstanding colour correction, which in turn produces good contrast. 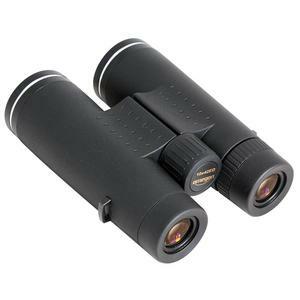 With dual-lens internal focussing, perfect sharpness can be set with high precision. The complete lens system (consisting of 10 elements in 6 groups), offers a very level image field and good distortion correction. The sharpness remains even across the entire image field, including at the furthest edges. With a field of 105 x 1000 meters, it offers a wide-angle field of vision. The glass/air surfaces are equipped with reflection-reducing broad spectrum multi-coating. The pentagonal prisms made of BAK-4 have been given an additional dielectric coating for high reflection properties in the light and phase coating for especially high resolution abilities and maximum detail recognition. The lenses can be set as short as approx. 3.5 meters. A clever aperture system and matt black paint reduce interior reflections. 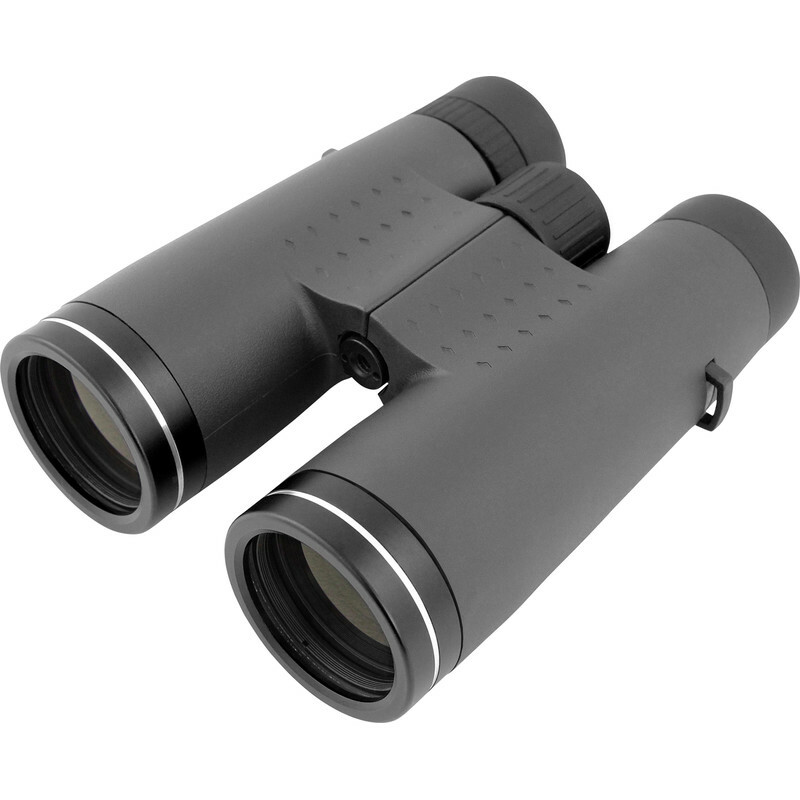 The binocular casing is extremely stable and made of an aluminium alloy. 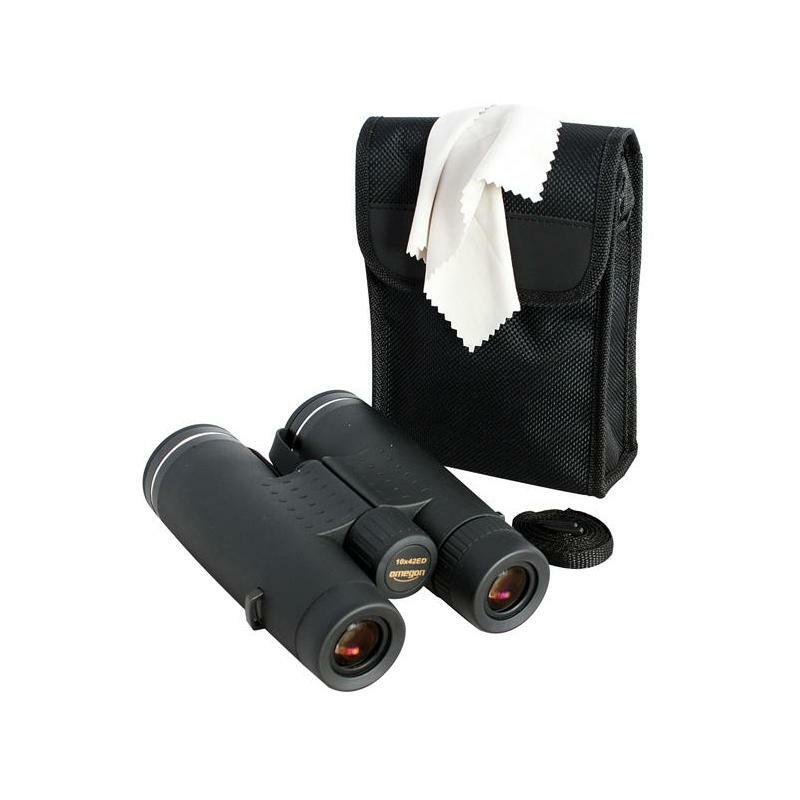 The casing is waterproof and is filled with nitrogen to protect the interior of the binoculars against fogging. The medium central focus element is used to position the two lens elements into focus. 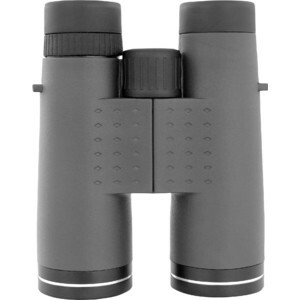 The lockable eyepiece corrector control can be used to perfectly set the focus for each eye. 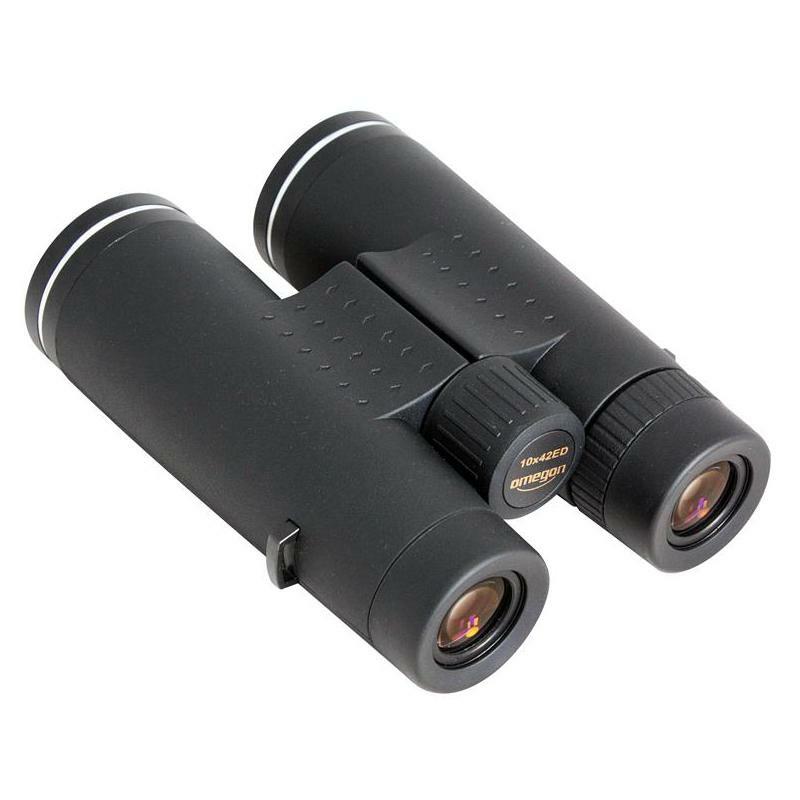 The body of the binoculars fit very well into the hand and the focus button is easy to reach. 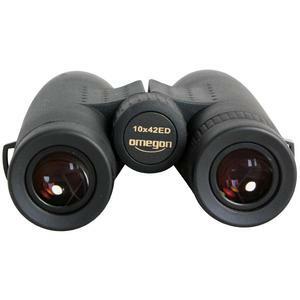 With an interocular distance of 16mm, the binoculars are also suitable for spectacle wearers. The eyecups can be screwed out into three different fixed positions. If the retainer is screwed out of the dust protection cups on the centre ridge, the existing ¼" threads can be used to hold an adapter for mounting on a tripod. Weighing 785 g, the Omegon HD 10x42 is easy to transport. The optical performance of these ED glass binoculars is extremely high and the optics offer outstanding colour correction.